Transcreation | Language Solutions Inc.
Transcreation is the process by which a message gets adapted for a foreign or local market in another language without losing its original intent. This process usually applies best to advertising (taglines, brand messaging or brand names) where a lot of (cultural) meaning is packed into the least amount of content. Transcreation fits in the realm of translation because it involves the transformation of languages in relation to original source content. However, the difference between translation and transcreation is that transcreation puts the emphasis of this transformation around the concept that shaped the wording rather than the original writing. It is important to note that transcreation, thereby, is limited in scope, because it does not replace the process by which an entirely new concept is created for every local market. The transcreation process is a writing process that is much more involved in thinking about how the original message was put together and what values, meanings, emotions and other elements were at the basis of creating this message. It focuses particularly on breaking down the unique selling proposition of the message and the relevance this has in other markets. It does not represent an entire re-marketing effort specifically for the target market. Transcreation could be described as the most extreme version of localization, although it is not a process by which localization of most materials is achieved because it is so time intensive. You can also see transcreation as the least literal form of translation. Earlier we wrote about the role of translation and how that role can be shaped by the skopos (or purpose) of the original source. However, there exists a theory of constraints on translation due to limited resources. A lot of what is written has to be taken at face value in translation, with limited and concentrated efforts on preflight of content to uncover parts of the text that is either unclear or requires a different approach for the local language (through internationalization, regionalization or localization efforts). With transcreation, almost all of your efforts are focused on breaking apart the elements that make up what it is that the message is trying to convey. The purpose of the trancreation process is to use the elements that make up the meaning of the message and then test against the validity of the message in the other language. Often, and almost always, the message is a value proposition, and that value needs to be tested against the local culture. A good example was the creation of a set of values associated with an aggressive growth goal as part of an employee performance management program. One value included was the word “innovation” that was immediately related to growth. However, in Germany, their offices couldn’t necessarily relate innovation as growth because it typically means “doing more with less,” resulting in a more efficient company, not a larger company. If you promise something based on values, it’s important to make sure that your audience agrees on the expressed value. One interesting tagline that we worked on was the line “Beautiful feels so good” as a revival of a shoe brand that used to be more utilitarian and is now moving towards a brand for women’s shoes where where practicality meets beauty. Every word in this tagline has a deeper meaning that was presented in a 31 page creative brief. Beauty both deals with beauty inside and feeling beautiful as well as looking beautiful. Feels involves mostly comfort, so the value of comfort as well as freedom. And good is the value of the quality of the product as well as the qualities of beauty (emotional) as well as the comfort (practical). How well do the concept of “feeling beautiful” translate into other languages? Turns out that the concept of beauty feeling good does not make much sense in French. We looked at French writings of Plato’s account of “beauty” to come up with ideas around beauty in itself for our ultimate tagline. Discovery – Often the most time intensive process whereby the original message is deconstructed into parts. We often ask for a creative brief to provide input into the writing process. Creative Writing – A Collaborative process typically between a few linguists on different options. Selection – Transcreated options are translated back into English for selection and review. Back Translation is a literal process and not an interpretive process. 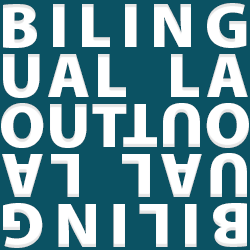 Read more about backtranslation process. Review – Review of the Transcreated line with all its design elements. If design (color, image, font) is a major part of the layout, those elements are included in the discovery phase. You think marketing is difficult? In our next post we’ll discuss why healthcare communications contain some of the most complex messaging. Healthcare communications are difficult in itself because they assume a certain health belief in a healthcare system that is often misunderstood among even English speaking Americans. As we often deal with messaging to patients with chronic health needs, any messaging that speaks from experience requires to be tested against the actual experience of a vastly different health population.